Here are some tricks of the trade to help you get the best value when selling your home. Working with John Collinge at RE/MAX Dynamic Properties in Anchorage helps ensure a more hassle-free experience. Knowing the correct value of your home is very important. An overpriced home will not sell and sits on the market week after week never getting any offers. John will do a market report that will show you recent comparable sold homes in your area and help you determine the correct price to ask for your property. Buyers want their new homes to be clean and pristine. THIS IS EXTREMELY IMPORTANT!! Great lighting is also a plus. You want both the inside and outside of your house to look appealing to buyers. You want it to send out positive energy and cheery vibes that draw buyers in and convince them that your house would be a really great place to live in. Experience is very important when choosing a Realtor. You need someone who knows the local market and will be able to write a contract that looks out for your needs as well as getting you the best deal. 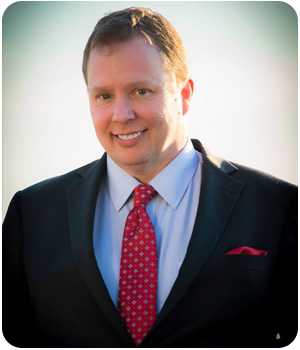 JOHN COLLINGE RE/MAX Dynamic Properties is a Top Producing Realtor in Anchorage, Alaska. He has years of experience and is up on all of the latest technology. He knows the going prices for properties on the market, and is well aware of the pros and cons of living in your neighborhood. Putting your home on the market means it’s no longer your “home”. It’s normal to get attached to a house that you’ve made into your home. However, if you’re in the process of selling it, make sure to remove as many personal items as possible. Political and Religeous items are the most important items to remove. The thing that you always need to remember is to De-Clutter, De- Clutter, De-Clutter! Going for a complete overhaul when selling your home is ill advised because it’s highly likely you won’t get your money back from such a venture. Quick fixes and repairs, however, are a necessity, and would very much pay off. Something as simple as applying a fresh coat of paint on the walls, replacing door handles, installing new cabinets, fixing leaky faucets, and hanging clean curtains could go a long way to getting you top dollar when selling your home. Selling your home usually means you’re getting ready to embark on a large journey. If you have questions please call, text, or email JOHN COLLINGE. Real Estate Is Difficult. John Collinge Can Help! !